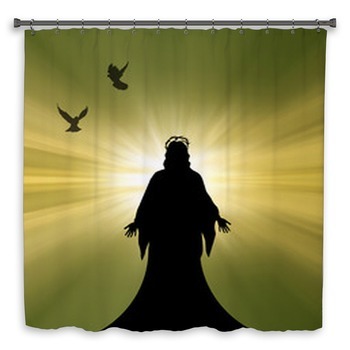 Decorating the home in a way that flaunts your faith no longer has to be reminiscent of your grandmother's house. There are plenty of modern-looking decorations that can be incorporated so that the home looks stylish and yet still pertains to the owner's interests. 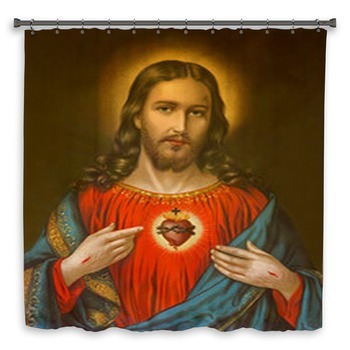 Christian bath decor help to add that unique touch while still staying true to your ideologies. 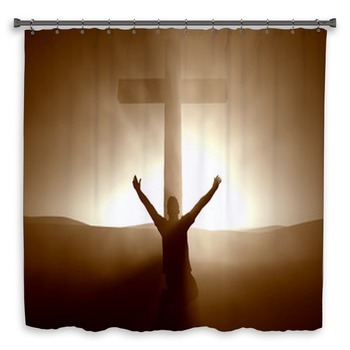 For those who are devoted to their religions but also enjoy a good scenic shot, photographic Christian shower curtains are the perfect combination! 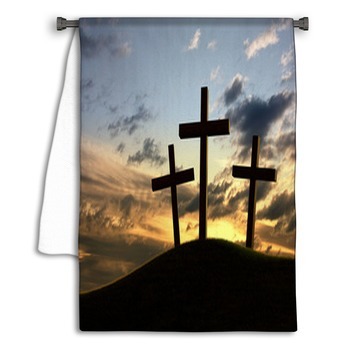 What better way to jazz up the bathroom than with the image of a cross against the backdrop of a breathtaking sunset? 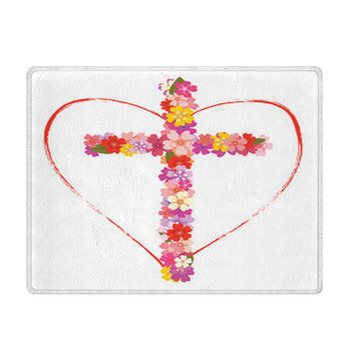 The colors will help this piece to be the center of attention for the room and put its viewers in the best of spirits. 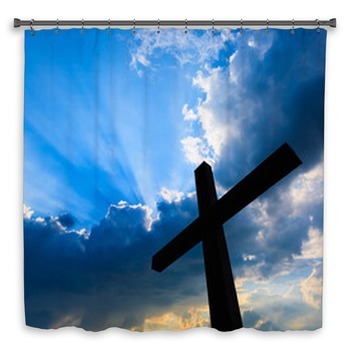 Perhaps the owner of this bathroom is religious, but also heavily interested in art. 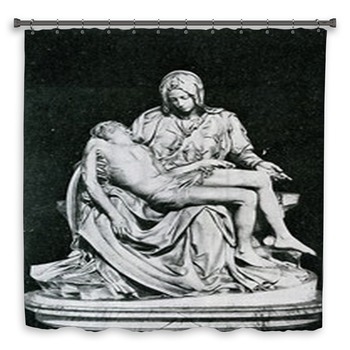 There are contemporary designs that display religious paintings that are sure to impress any art buff. The colors and styles of the different paintings for a wall art are very reminiscent of the Renaissance and will give the bathroom a classic, sophisticated look. The muted colors will also be fun to decorate for the art-minded. 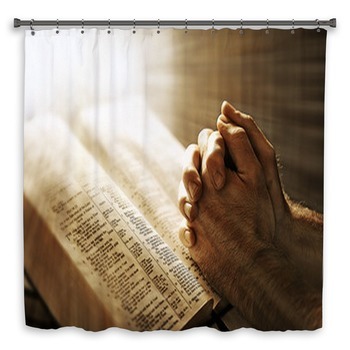 More subtle versions of Christian shower curtains may be sought for those who are interested in putting only mildly religious pictures on display. For example, there are varieties with images of peace doves flying across a beautiful sky. Others boast very objective images, which are offset by uplifting quotes from the Bible. Inspirational quotes and sayings are something anyone can enjoy as a daily reminder or as a constant source of guidance. 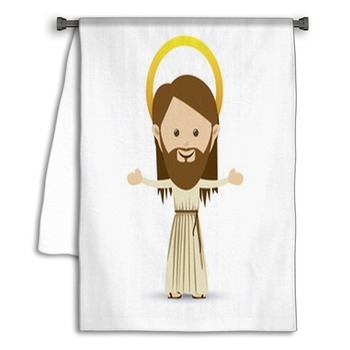 Even for bathrooms that are used only by children, there are cool designs to help them enjoy the environment and also be reminded of their faith. 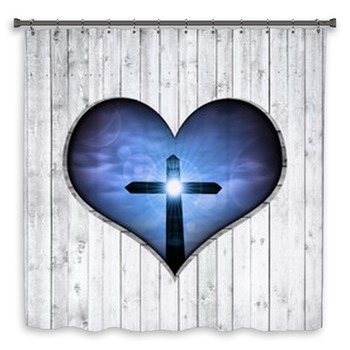 These include more abstract and animated pictures of the stories and figures from the Bible that they know so well. 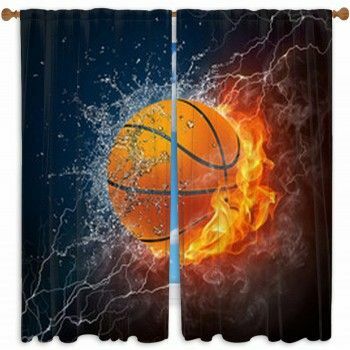 However, they are less sophisticated and more bright and colorful, so it will still provide the fun feel of a child's area. 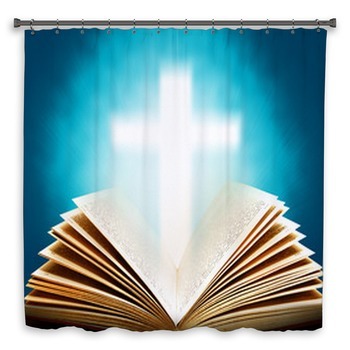 Whether children want to be reminded of Noah on his ark with a colorful Noah's Ark shower curtain or a sophisticated, artsy adult wants to offset the home and decor with a religious painting, utilizing Christian shower curtains is a great way to do it. 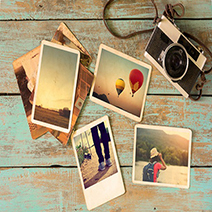 There are options ranging from photographic to abstract and everything in between. 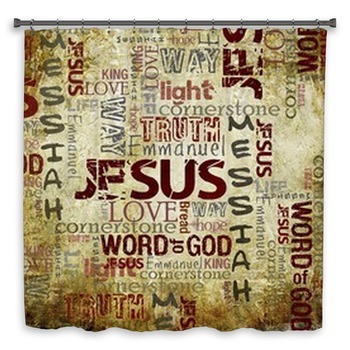 There is no reason the bathroom cannot be the most unique, faith-inspired room in the house!.